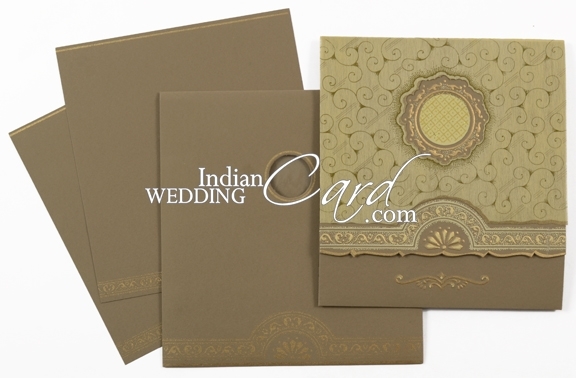 Paper: 250gsm Sea Green color shimmery paper for folding style card with designer wooly overlay on front. 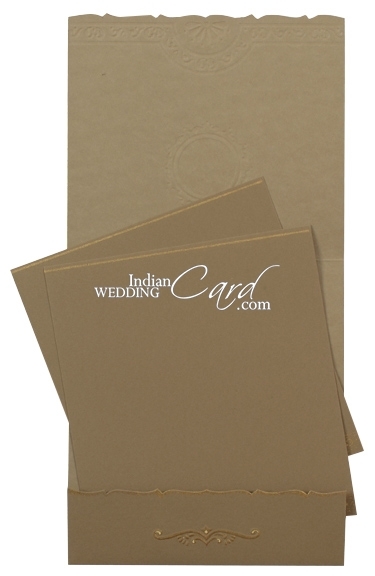 2 inserts and mailing envelope in white 250gsm paper. 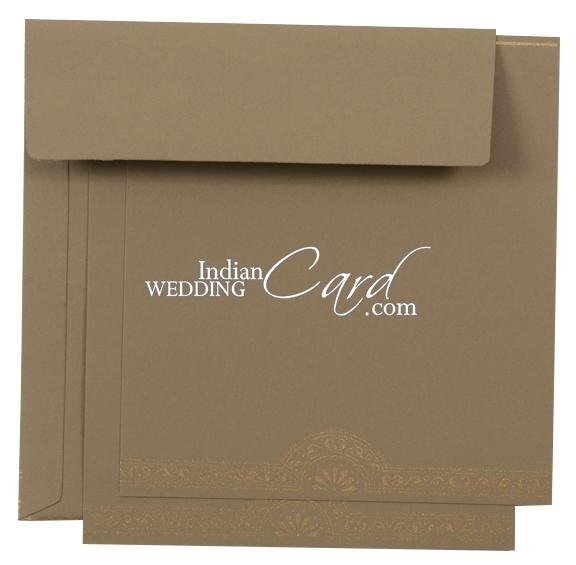 Dear Indian Wedding Card, We have already had so many compliments about our beautiful wedding invitations, and they were only mailed to guests a week ago! Thank you for having such beautiful designs and for your wonderful customer service. If we ever need invitations again, we will order from you. I have received my package and the cards looked exceptional and exactly how proof was in prior emails. I thank you so much. thanks for the card it's really nice. I thank you very much you have been very helpful and i have no hesitation in recomending you to other people. This is just to confirm that the Fedex delivery has arrived here safely. The scroll invitations and their boxes look amazing - I`m sure the event will be a great success. Many thanks.